Flower Gift Korea has delivered flowers and gifts to many Korean celebrities. One of the most recent deliveries was made to this group, “Block B”. 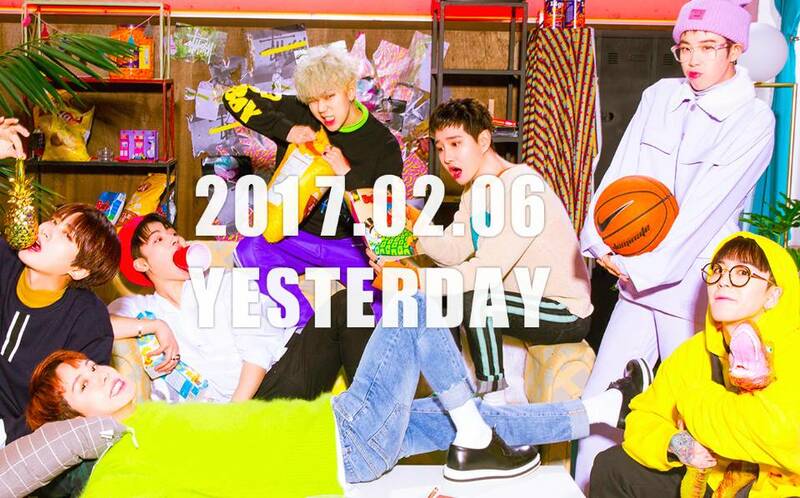 The most popular member of this Kpop group is most likely “Zico”, who is famous for his rapping. He is the rapper in the commercials for Ocean World and is featured in many other commercials as well. Even though they have moved their location, it isn’t too far from their old location. 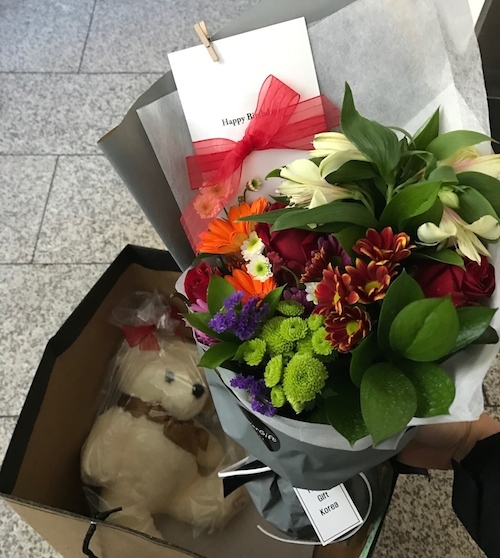 Lucky for me and the fans that sent the gifts, I speak Korean, so I asked some people in the area where the new location was, and it ended being near the old location. Here is a close up on the logos found on all of their doors. This was a photo of the basement door. When I first entered the building, I went downstairs because I heard some boys singing. 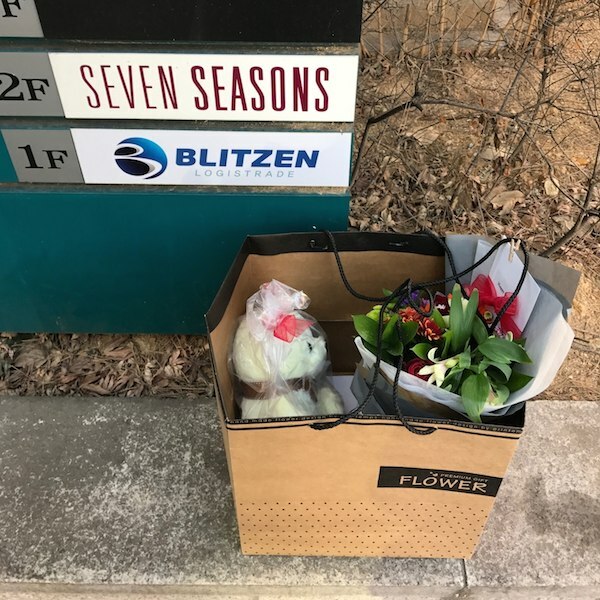 I have no idea who they were, but they were really kind to me because they were the ones who told me that I had to go to the third floor to deliver the gifts to Block B. Korean Idols (kpop singers) are very polite to strangers. 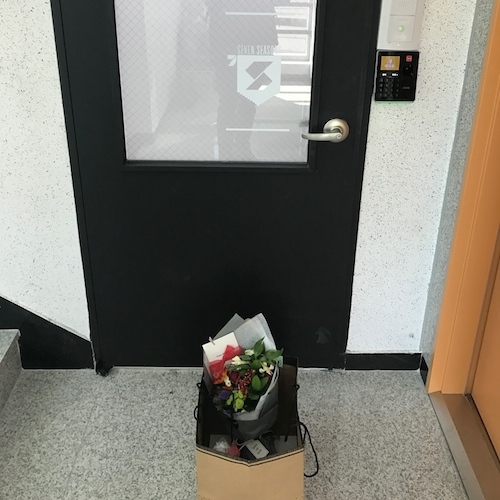 Here is the gift in front of the main door to their office rooms on the third floor. You aren’t allowed in there, but they do accept deliveries for their artists. 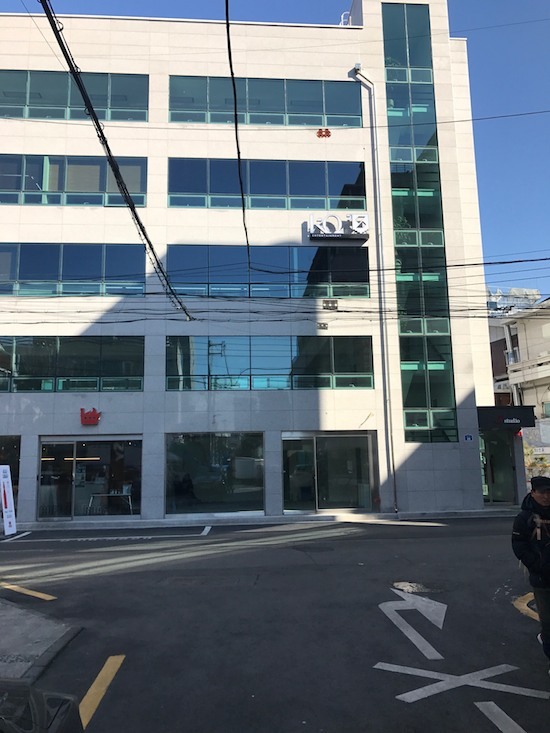 Here is what the agency building look like from the outside. 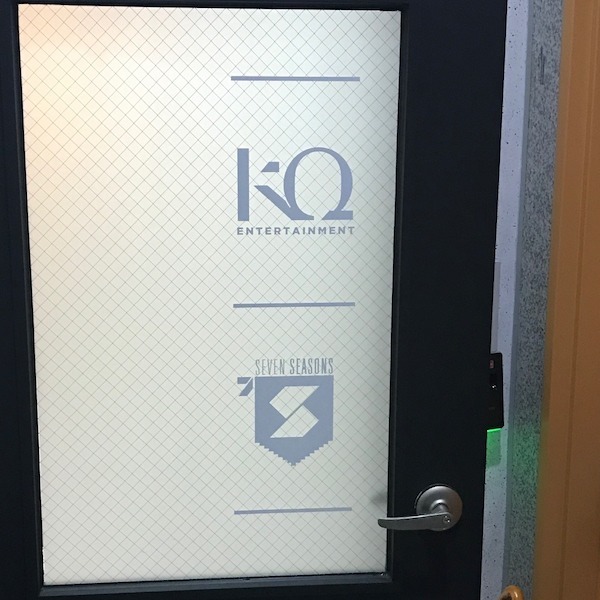 From what I know, their main office is located on the third floor and they have some recording/studio area in the basement. If you have any questions about sending gifts to anyone in Korea, please read our other blog posts or contact us. Can I get your e-mail??? Please 🙏.. I really want to send gifts to Block B!!! !